1. The microprocessor forms the heart of a microcomputer. marily to replace or increase random logic design. As it is known computer actually refers to a computing sys­tem including hardware (processor, I/O circuits, power supplies, control panel, etc.) and software (instruction manual, user's manual, assembler and diagnostic and service routines). Proces­sor refers to the processing circuits: control processing unit, memory, interrupt unit, clock and timing. Most processors also include computer software. Central processing unit — heart of the processor — consists of the register array, arithmetic and logical unit, control unit (in­cluding microROM), and bus control circuits. Microsoftware may also include microinstruction manual, microassembler, etc. mobility, those microprocessors were relatively slow devices. almost as fast as normal minicomputers. Some microprocessors are now made using CMOS. The speed and logic density of CMOS are inferior to n-type MOS but the process does have some significant advantages. First of all, it has a low power consumption, power being consumed only when a logic element changes a state. Secondly, it can operate over a wide voltage range. As a result, electronics based on CMOS can operate successfully with "noisy5* power supplies* The low consumption makes it quite possible to use a simple battery to maintain the security of supply for several weeks. This type of microprocessor has clear advantages over the other types. 2. Прочтите текст и скажите, какие устройства относятся к сфере ввода-вывода информации. Data and instructions must enter the data processing system, and information must leave it. These operations are performed by input and output (I/O) units that link the computer to its external environment. a device that produces output in a human-readable format. An example of a human-independent input environment is a de­vice that measures traffic flow. A reel of magnetic tape upon which the collected data are stored in binary format is an ex­ample of a human-independent output. Input-Output Interfaces, Data enter input units in forms that depend upon the particular device used. For example, data are entered from a keyboard in a manner similar to typing, and this differs from the way that data are entered by a bar-code scan­ner. However, regardless of the forms in which they receive their inputs, all input devices must provide a computer with data that are transformed into the binary codes that the primary memo­ry of the computer is designed to accept. This transformation is accomplished by units called I/O interfaces. Input interfaces are designed to match the unique physical or electrical character­istics of input devices to the requirements of the computer sys­tem. Similarly, when output is available, output interfaces must be designed to reverse the process and to adapt the output to the external environment. These I/O interfaces are also called channels or input-output processors*(IOP). The major differences between devices are the media that they use and the speed with which they are able to transfer data to or from primary storage. Input-Output Device Speed. Input-output devices can be clas­sified as high-speed, medium-speed, and low-speed. The devic­es are grouped according to their speed. It should be noted that the high-speed devices are entirely electronic in their operation or magnetic media that can be moved at high speed. Those high­speed devices are both input and output devices and are used as secondary storage. 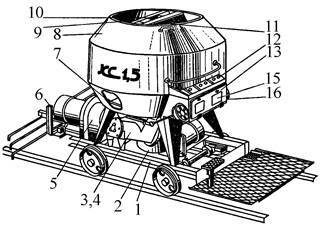 The low-speed devices are those with com­plex mechanical motion or operate at the speed of a human operator. The medium-speed devices are those that fall be­tween — they tend to have mechanical moving parts which are more complex than the high-speed devices but not as complex as the low-speed. High-speed devices: magnetic disk; magnetic tape. Medium-speed devices: card readers; line printers; page print­ers; computer output microfilms; magnetic diskette; optical character readers; optical mark readers; visual displays. Low-speed devices: bar-code readers; character printers; dig­itizers; keyboard input devices; plotters; voice recognition and response units. 3. Дайте ответы на следующие вопросы. 1. What is the purpose of input and output devices? 2. What types of input-output devices do you know? 3. Why are data transformed into a binary code while entering the input device? Среда устройств ввода-вывода; система обработки ин­формации; внешняя среда; связан с человеком; независим от человека; удаленный банковский терминал; измерять поток данных; бобина с магнитной лентой; хранить со­бранную информацию; двоичный формат; интерфейс вво­да-вывода; вводить с клавиатуры; устройство считывания штрих-кода; не смотря на; преобразовать в двоичный код; сопоставлять параметры; подобным образом; интерфейс вывода; изменить процесс в обратном направлении; на­строить устройство ввода-вывода к внешней среде; глав­ное отличие; основная память; вторичная память; низко­скоростные устройства; в соответствии. сти словосочетания, употребляемые с этими словами. Environment: application environment; communication en­vironment; execution environment; external environment; hard­ware environment; interface invironment; management envi­ronment; multimedia environment; network environment; processing environment; security environment; software envi­ronment; user environment. Interface: channel interface; common interface; data inter­face; database interface; display interface; external interface; flexible interface; floppy-disk interface; general-purpose inter­face; hardware interface; low-level interface. Scanner: bar code scanner; black-and-white scanner; color scanner; desktop scanner; hand scanner; laser scanner; manual scanner; optical scanner; visual scanner. Terminal: batch terminal; desktop terminal; display terminal; printer terminal; remote terminal; security terminal; logical terminal; text terminal. 1. A printer is an example of a device to produce output in a human-readable format. 2. The high-speed devices to be used as secondary storage are both input and output devices. 3. The progress of electronics to have resulted in the invention of elec­tronic computers was a breakthrough (прорыв) of the second part of the 20lh century. 4. Mendeleyev's periodic law to have been accepted as a universal law of nature is of great importance nowadays. 5. When output is available, output interfaces must be designed to reverse the process and to adopt the output to the external environment. 6. The memory stores the instructions and the data to be quickly retrieved on demand by the CPU. As it is well known, a computer cannot perform or complete any useful work unless it is able to communicate with its exter­nal environment. All data and instructions enter and leave the central processing unit through primary storage. 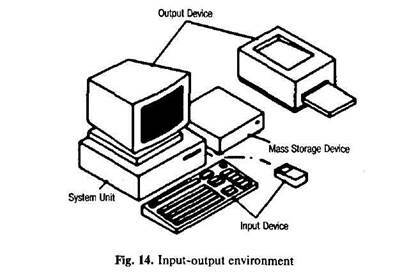 Input-output devices are needed to link primary storage to the environment, which is external to the computer system. So input devices are used to enter data into primary storage. Output units accept data from primary storage to provide users with information or to record the data on a secondary storage device. Some devices are used for both the input and output functions. The data with which these devices work may or may not be in a form that humans can understand. For example the data that a data entry operator keys into the memory of a computer by typing on a keyboard are readable by humans. However, the data that tell a computer about the performance of an automo­bile engine are not in a form that humans can read. They are electrical signals from an analog sensor. Similarly, output may be on a printed page, which humans can read easily, or upon some other medium where the data are not visible, such as on magnetic tape or disk. are required to convert the input data to the internal codes used by the computer and to convert internal codes to a format which is usable by the output device. введения информации в компьютер. Переведите текст. as manipulators (a mouse, a track ball), touch panels and graph­ical plotting tables, scanners, digital cameras, TV tuners, sound cards etc. When personal computers first became popular, the most common device used to transfer information from the user to the computer was the keyboard. It enables inputting numerical and text data. A standard keyboard has 104 keys and three more ones informing about the operating mode of light indicators in the upper right corner. Later when the more advanced graphics became to develop, user found that a keyboard did not provide the design capabili­ties of graphics and text representation on the display. There appeared manipulators, a mouse and a track ball, that are usu­ally used while operating with graphical interface. Each software program uses these buttons differently. The mouse is an optic-mechanical input device. The mouse has three or two buttons which control the cursor movement across the screen. The mouse provides the cursor control thus simplifying user's orientation on the display. The mouse's pri­mary functions are to help the user draw, point and select im­ages on his computer display by moving the mouse across the screen. In general software programs require to press one or more buttons, sometimes keeping them depressed or double-click them to issue changes in commands and to draw or to erase emages. When you move the mouse across a flat surface, the ball located on the bottom side of the mouse turns two rollers. One is tracking the mouse's vertical movements, the other is track­ing horizontal movements. The rotating ball glides easily, giv­ing the user good control over the textual and graphical images. In portable computers touch panels or touch pads are used instead of manipulators. Moving a finger along the surface of the touch pad is transformed into the cursor movement across the screen. Graphical plotting tables (plotters) find application in draw­ing and inputtig manuscript texts. You can draw, add notes and signs to electronic documents by means of a special pen. The quality of graphical plotting tables is characterized by permit­ting capacity, that is the number of lines per inch, and their ca­pability to respond to the force of pen pressing . Scanner is used for optical inputting of images (photogra­phies, pictures, slides) and texts and converting them into the computer form. Digital videocameras have been spread recently. They enable getting videoimages and photographs directly in digital comput­er format. Digital cameras give possibility to get high quality photos. Sound cards produce sound conversion from analog to digi­tal form. They are able to synthesize sounds. Special game-ports and joysticks are widely used in computer games. 1. What devices are used for inputting information into the computer? 2. What was the most common device in early per­sonal computers? 3. What is the function of a keyboard? 4. Why do many users prefer manipulators to keyboard? 5. How does the mouse operate? 6. What is its function? 7. What role does the ball on the bottom of the mouse play? 8. What is used in portable computers instead of manipulators? 9. What is the touch pad's principle of operation? 10. Where do graphical plot­ting tables find application? То accomplish: accomplished; unaccomplished; accomplish­ment. To adapt, adaptable; unadaptable; adaptability; unadaptabil-ity; adaptation; adapter. To digitize: digit; digital; digitization; digitizer. To erase: erasable; erasability; eraser; erasing; erasure. To permit: permitted; permissible; permissibility; permission. To recognize: recognition; recognizer; recognizable; unrec­ognizable. To respond: response; responsible; irresponsible; responsibil­ity; irresponsibility. To reverse: reversed; reversible; irreversible; reversion; revers­ibility. ции "for + Infinitive" и "Objective with the Infinitive". 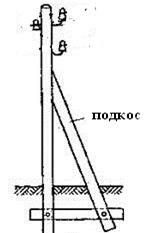 Переведите предложения на русский язык. 1. It was not difficult for the pupils to understand the func­tion of the mouse in computer operation. 2. There is no reason for computer experts to use computers of the first generation now­adays. 3. The mechanism is provided with special devices/or the whole system to function automatically. 4. The text was very in­teresting but rather difficult for the students to translate it with­out a dictionary. 5. It is not easy for me to learn to speak En­glish fluently. 6. We know the machine to react to a series of electrical impulses that can be represented in binary numbers. 7. Scientists considered silicon to be one of the best materials for the creation of an 1С. 8. Wfe know all data to be translated into binary code before being stored in main storage. 9. Engi­neers expect these new devices to be tested very soon. 10. They want their son to become a computer operator and to design new computer models.